First to Believe in Jesus! How would you feel if I said to you, “You’re very ordinary. There’s nothing special about you,” how would you feel? Would you take it as an insult or encouragement, a blessing or belittlement, a compliment or criticism? There’s no question about it in this culture, is there? Calling somebody ordinary is about the meanest things you can say to them. After all, what do we tell our children from Day 1? We’re all special. Everybody is a winner! You all deserve a trophy! So we give everybody an award just for taking part. We promote kids to the next level even if they aren’t ready for it. And I understand at many sporting events for children, they don’t even keep score anymore lest someone feel bad about it. And I get it! We’re trying to compensate for the dog-eat-dog cruelty that’s in the world, which is fine as long as we realize that none of this is true. They say the truth hurts, and sometimes it does. And in our case, the truth is this: None of us is special. We’re all just ordinary people. But then that’s OK because in the hands of Jesus, that which is ordinary can turn into something extraordinary for His purposes. They don’t start out that way. Moses had a rod. David had a sling. Jael had a nail. But in the hands of God, that which was once ordinary became something of miraculous value and use. And we’re going to find the same thing in our study for today, if you’ll open your Bible to John chapter 1, starting at verse 35. Here Jesus begins to gather His first disciples and what’s amazing is that not one of them is special in any way. Not one of them is a priest, a Sadducee, a scribe, a rabbi, or a Pharisee. They’re just ordinary people like you and I. Yet by the amazing grace and power of Jesus Christ they become the first witnesses, first preachers, and first missionaries of a movement that turns the world upside down by their influence. In fact, one of the ways you can tell it’s a God-thing is that Jesus doesn’t have to put hardly any effort into it, which is what you have to do if you’re trying to get your will rather than God’s will done. 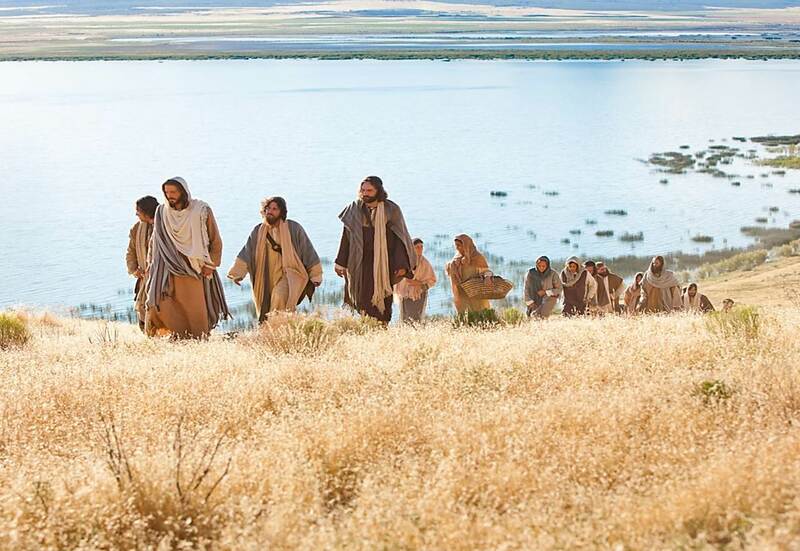 Instead of scouring the countryside to find the best man in each town or village, He’s able to take half a dozen ordinary guys who’ve followed John the Baptist and makes them disciples of His own. And that makes them special. The fact that they’re followers of John means they are also true believers who have repented of their sins and are waiting for the promised Messiah to appear. But now He’s here! That was John’s message on Day 1: “Messiah is here! Christ has come!” Then on Day 2 it was: “Behold the Lamb of God who takes away the sin of the world.” But now it’s Day 3 and John, who has no ego or ambitions of his own except to make Jesus known to the world, directs two of his two best men to Jesus, knowing that once he does, he will have turned a corner in his ministry. Jesus will begin to increase, and he will begin to decrease. But he’s OK with that, for that’s why God sent him—to reveal Christ known to the world. Let me remind that was also John’s reason for writing this Gospel. 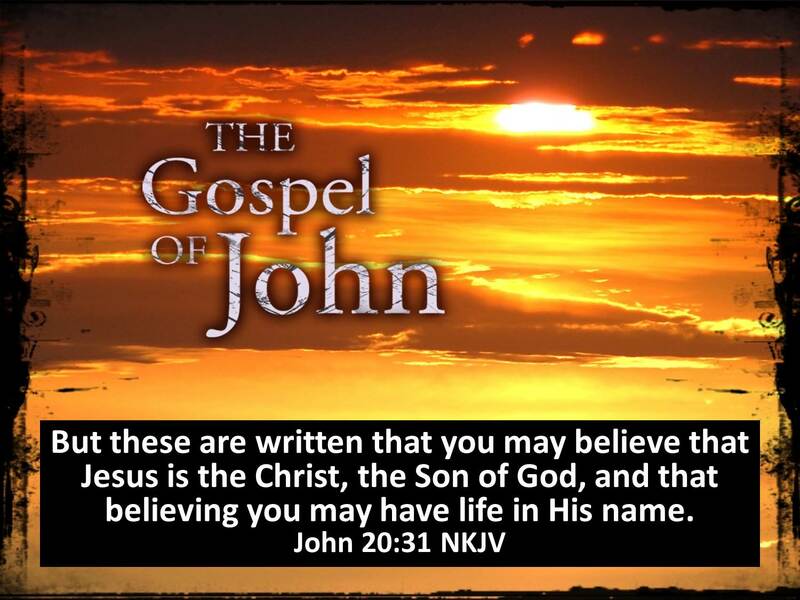 He says in John 20:31—“These things are written that you may believe that Jesus is the Christ, the Son of God and that believing you may have life in His name.” Because it is only by believing in Jesus that you receive the eternal life He offers! So like a brilliant defense attorney, John begins to call witness after witness to prove his case. Last week we heard from his first and greatest witness, John the Baptist. But this week it’s the first six disciples of Jesus who by the providence of God are already best friends and ready to be turned into the greatest men who ever lived. Let’s see how it happened to them and how it can happen to us as well. That’s my outline for our study: three ways that meeting Jesus can change us from ordinary to extraordinary people. Change #1: You Become A Believer. Jesus has just endured 40 days of temptation in the wilderness. But now He’s back filled with the power of the Holy Spirit and ready to begin His ministry, having defeated the devil at every turn. And it’s at this point on Day 3 that John the Baptist says to two of his disciples, “Behold that Lamb of God!” In other words, that’s the Messiah I told you about, and it’s time for you to follow Him. How do I know that’s what he meant by what he said? Because that’s what they begin to do! Verse 35 says: “The next day again John was standing with two of his disciples, and he looked at Jesus as He walked by and said, Behold, the Lamb of God!’ The two disciples heard him say this, and they followed Jesus.” (See I told you that’s what he meant!) Jesus turned and saw them following and said to them, ‘What are you seeking?’” That’s the question of our lifetimes, isn’t it? What are you seeking? The Kingdom of God and His righteousness—is that the most important thing in your life? Or are you pursuing the lust of the flesh, the lust of the eyes, and the boastful pride of life? But that’s too big a question to answer in passing. They need time to sit down and talk and ask Him questions. Last week we learned who the first two disciples were. But let me repeat it for anyone who may not have been here. Verse 40 says, “One of the two who heard John speak and followed Jesus was Andrew, Simon Peter’s brother.” You’ve heard of Peter, I’m sure, but you probably don’t know as much about Andrew. And yet, as you’ll see in a moment, if not for Andrew, you wouldn’t have heard of Peter either. The name of the second disciple, on the other hand, isn’t mentioned here. But that’s actually the best clue to his identity because who’s the one disciple John never names in his Gospel? John! Out of humility, John never names himself. But you can tell it’s him because of how accurate he is about his meeting with Jesus. They ask Him in verse 39, “Where are you staying, Rabbi?” Right away He invites them, “Come and see?” Not once in all the Gospels, by the way, will you see Jesus turn somebody away because He’s too busy! Nor will He turn you away. Instead, He invites them, “Come and see!” So John says, “They came and saw where He was staying, and they stayed with Him that day, for it was about the tenth hour.” The tenth hour was 4 o’clock in the afternoon, too late and dark on a winter’s day to start the long walk home. So they stay the night with Jesus. Consider Andrew first. Verse 40 says, “One of the two who heard John speak and followed Jesus was Andrew, Simon Peter’s brother. He first found his own brother Simon and said to him, ‘We have found the Messiah,’ which means Christ. He brought him to Jesus.” As I suggested a moment ago, there isn’t a lot written about Andrew in the New Testament. His name is found in the list of the apostles. But whenever he’s mentioned, it’s always as Simon Peter’s brother, and whenever their names are listed together, Peter always gets top billing except here in John’s Gospel. Here John, who was Andrew’s fishing partner, highlights him three different times. Here in chapter 1 bringing his brother Peter to Jesus, later in chapter 6 bringing a little boy to Jesus who has picnic lunch that will turn out to feed a whole multitude, and finally in chapter 12 where he brings a group of Greek worshipers to meet Jesus. Andrew, then, was a bringer, an inviter, an introducer of people to Jesus. So are some of you! Some of you are very comfortable inviting others to meet Jesus or come to The Gathering. But like Andrew, you don’t get a lot of credit for it. But I notice it. More importantly, Jesus recognizes it and will reward you greatly for it one day, for just as important as Peter are the Andrews among us who invite others to meet Jesus. Imagine what the world would be like today if not for the Sunday school teacher who led Billy Graham to Christ or Andrew who led his brother Peter to Jesus. 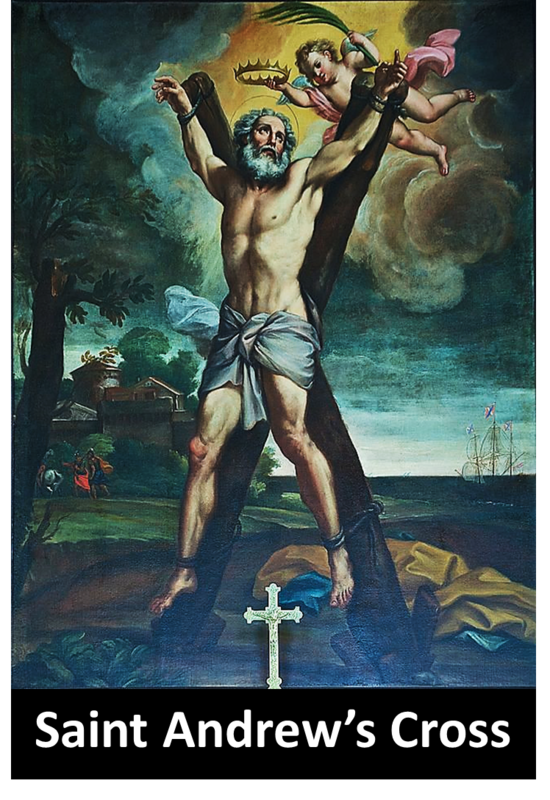 Tradition says that Andrew, whose name means “brave,” also spent the last twenty years of his life preaching the Gospel in Romania, Russia, and the Ukraine where he was crucified on an X-shaped cross, which has been known as Saint Andrew’s cross ever since. But here it’s Peter he brings to the Lord. Verse 41 says, “He first found his own brother Simon and said to him, ‘We have found the Messiah!’” Then he brought him to Jesus.” This is joy unbounded and unspeakable—joy beyond joy! “We’ve found the Messiah!” No doubt, no hesitation, no equivocation on Andrew’s part! One night with Jesus and he’s convinced, “We’ve found the Christ!” By the way, the words “Messiah” and “Christ” aren’t part of Jesus’ name, they’re titles. “Messiah” is the Hebrew word meaning “anointed,” which was how a king or priest was officially welcomed to office, whereas “Christ” is the Greek translation of the word “Messiah.” Andrew brought his brother to Jesus, and that’s how the kingdom always advances, isn’t it? 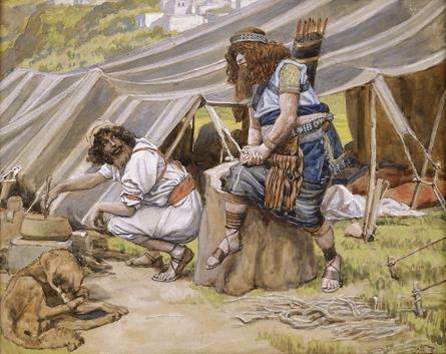 One beggar telling another beggar where he found bread and bringing him to Jesus! And do you see the word “first” here in verse 41? “He first found his own brother.” It doesn’t mean “first thing in the morning,” though that’s probably when he did it. 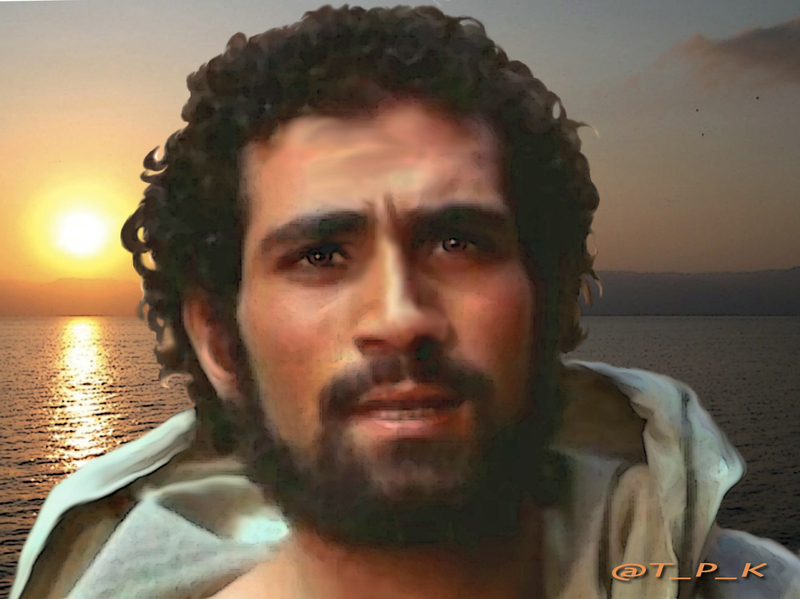 It means “first compared to John,” that even before John could find his brother James, Andrew found his brother Peter. But both of them brought their brothers to the Lord. But in keeping with his customary humility, John doesn’t take credit for it. But we know he did it because James is also listed among the apostles and always before John. When you see their names together, it’s always “James and John,” because he was the oldest, whereas John was the youngest of all the disciples and became more prominent than James after Herod beheaded him in Acts chapter 12. Notice also a few things about Peter. First, he too had to be a disciple of John the Baptist because Andrew found him right away. So he couldn’t have been home in Galilee. 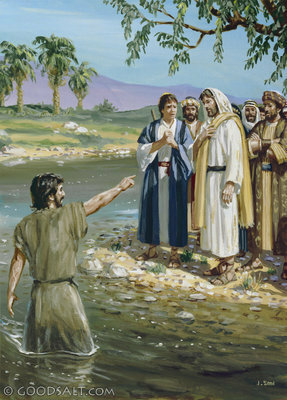 He had to be nearby, and the only thing going on nearby was John baptizing people in the Jordan River. So he too was a true Israelite who’d repented of his sins and been baptized by John. And what does Jesus say to him when they meet in verse 42? “Jesus looked at him and said, ‘You are Simon the son of John.’” That had to surprise him. “After all, how do you know who my father is?” Answer is: He knows everything about you and me, even the number of hairs on our heads. He continues, “You shall be called Cephas” (which means Peter).” Isn’t that amazing? In His first sentence to Peter, Jesus not only tells him who he is but also who he’ll become—a rock on whose testimony Jesus will build His church and the gates of hell will not prevail against it. It won’t be easy getting there. Peter is going to stumble and fall many times before he gets to that point. But what Jesus says always happens, for not only does He have the supernatural knowledge to tell us what we’ll become; He also has the supernatural power to make us that. Remember that when like Peter you fall into sin. 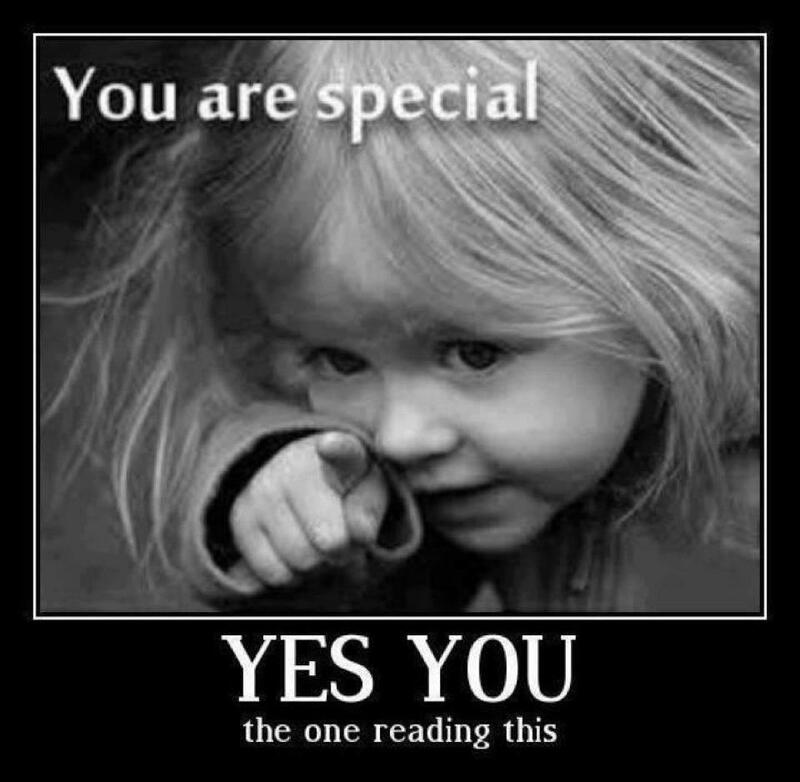 Remember His promise in Philippians 1:6, “For I am confident of this very thing, that He who began a good work in you will perfect it until the day of Christ Jesus.” So we expect great things of ourselves not because we’re special, but because He’s infinitely special, gracious, kind, wise, good, great, and powerful! 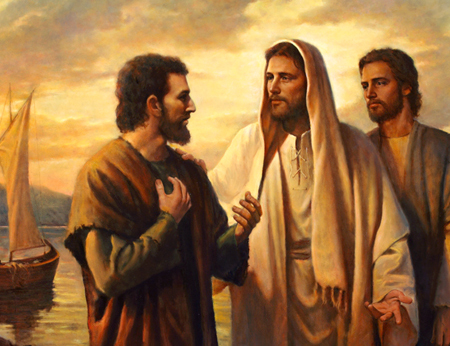 Now onto Day 4 and two more disciples: On Day 3 it was Andrew, Peter, James, and John. Verse 43 now adds, “The next day He purposed to go into Galilee, and He found Philip. 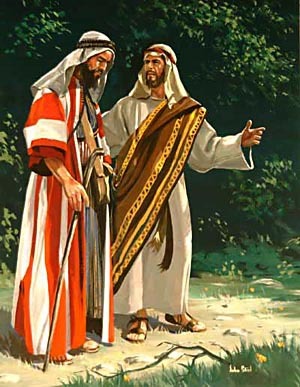 And Jesus said to him, “Follow Me.” Now Philip was from Bethsaida, of the city of Andrew and Peter.” Did you catch that? 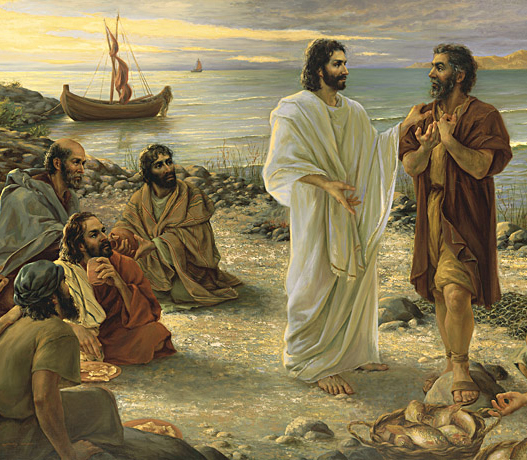 All five men—Peter, James, John, Andrew, and Philip (and in a moment, Jesus will add a sixth to the group)—are from the same village, Bethsaida meaning “house of fishing.” Any guess what they did for a living?. 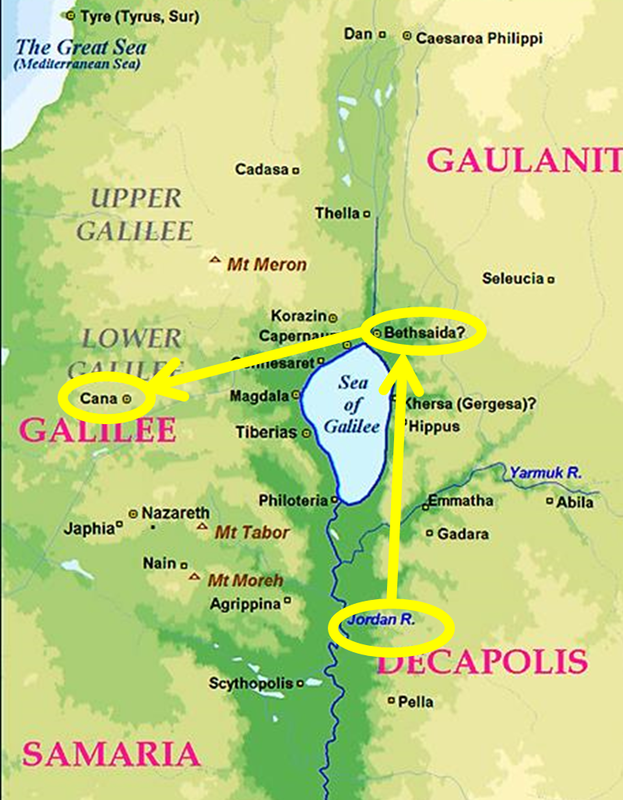 Bethsaida rested on the north shore of the Sea of Galilee and had a population of maybe 300 people at the time. So they knew each other. They shopped at the same market, worshiped in the same synagogue, attended the same synagogue school growing up, and then went into business together as fishing partners! So Jesus heads to Bethsaida for two reasons: First, He is going to find a fifth disciple He wants. Jesus didn’t go after Philip out of pity; He went out of him out of desire. Jesus is a jealous Lord who wanted Philip for Himself. And that’s the same reason He has gone after you. He has loved you with an everlasting love and wants you for His own. 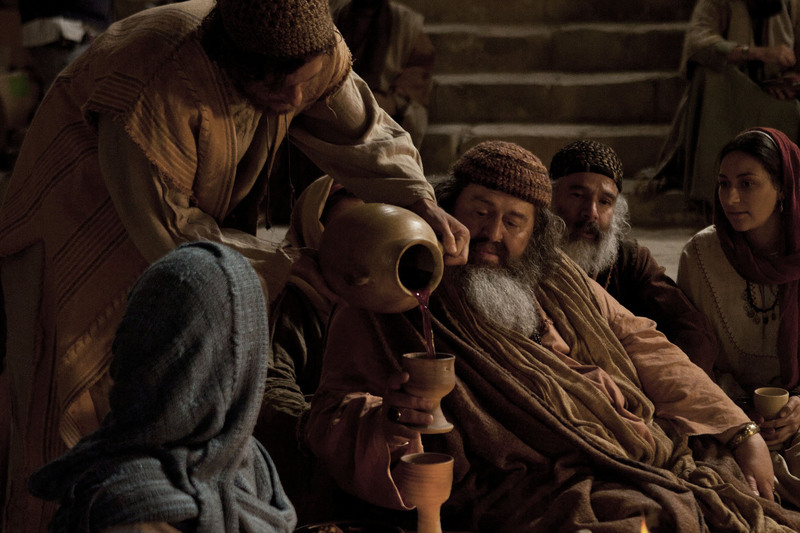 Second, He is going to attend a wedding feast in Cana of Galilee where something wonderful is about to happen. But that’s Day 5. This is Day 4 and they need to hurry, because Bethsaida is 25 miles north of where John is baptizing. But they can make it by midday if they start early—let’s say 6 o’clock in the morning—and if they hurry. But then these guys know how to walk, and besides that’ll give them 5 more hours with Jesus! Why do I assume He’s taking them along! Because they’re all with Him the next day at the feast! Cana is just 10 miles from Bethsaida, so it’s possible that a few of them may also know the bride or groom, though five hungry and uninvited wedding guests could put a drain on the food and wine. 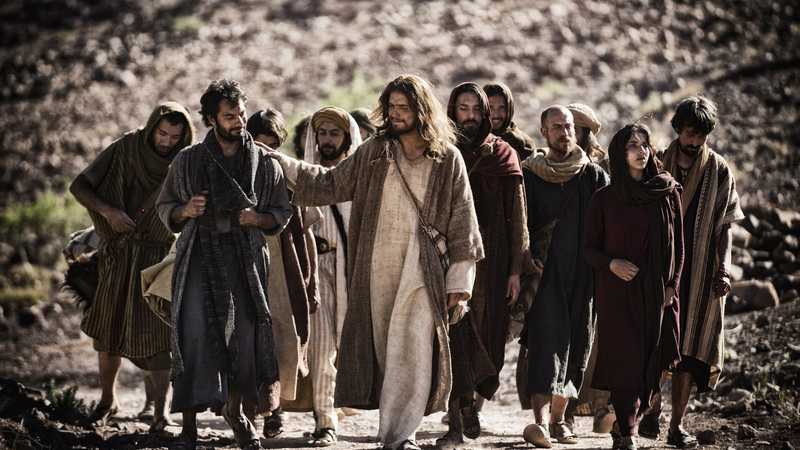 And when He finds Philip, He says to him, “Follow me!” That’s a command Jesus will issue twenty times in this book, and never as a trial offer to see if you like following Him. After all, this isn’t Burger King taking orders. This is the King of Kings giving orders! And with good reason! 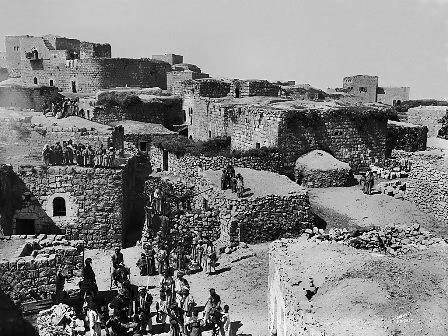 Nazareth was a Podunk village with mud streets, a few small businesses, and a few hundred people at best. So it was only natural for him to be skeptical about it! But Philip is a skilled fisherman and a quick study who knows how to reel in a fish. Don’t you love it? Instead of getting tangled up in an argument about possibilities and trying to wrestle him into the boat, he repeats the same simple invitation Jesus gave in verse 39. He says, “Come and see.” And it works! 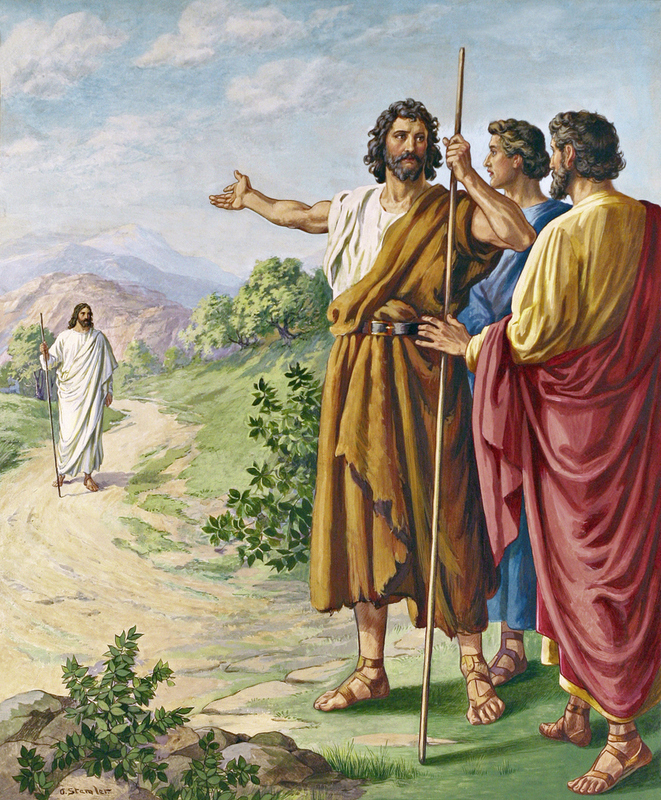 Verse 47 continues, “Jesus saw Nathanael coming toward him and exclaimed, ‘Look, a true Israelite in whom there is no deceit!’” Nathanael is known by two names in the Gospels—Nathanael, his first or given name, and Bartholomew, his family name which means “son of Ptolemy.” And the moment Jesus meets him He pays him a huge compliment probably with a smile on His face. After all, Nathanael has just dissed his hometown and called his stepfather a “nobody” from a dead-end village. But then I like people who are upfront with me (Don’t you? ), even if I don’t enjoy what they say, rather than a sneak who masks his feelings and stabs me in the back! Jesus must prefer that too because listen to what He says about him. “A true Israelite in whom there is no deceit!” What does that mean? What does it mean to be a true Israelite? Paul defines it in Romans 2:29 as someone who worships God in spirit and in truth rather than relying on his religion or good works to save him. In other words, what Jesus recognizes in this one phrase is that Nathanael is real and loves the Lord just as he claims. Change #3: You Become A Worshiper. 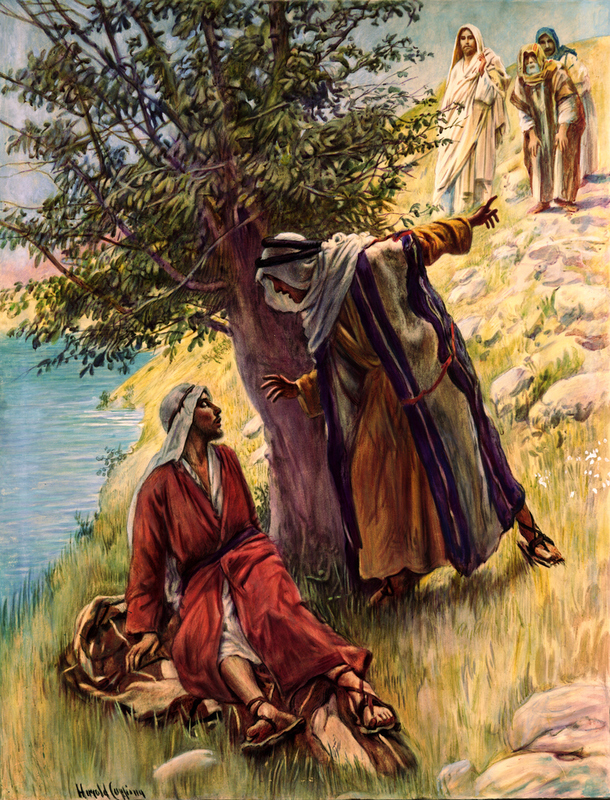 Nathanael asks Him in verse 48, “How do you know me?” And when Jesus explains, “Before Philip called you when you were under the fig tree, I saw you,” he explodes with praise, “Rabbi, you are the Son of God; you are the King of Israel!’” I’d call that a change of heart, wouldn’t you? In just minutes, he goes from “Can anything good come out of Nazareth?” to “Rabbi” (a term of deep respect), “You are the (He uses the definite article to emphasize He’s not just a son of God like you or I) …You are the Son of God (meaning He shares the very essence of God with His Father)… You are the King of Israel!” (i.e., “You’re the One who’s going to bring the Kingdom of God to earth and rule over it forever and ever!”) That’s what you call true worship, and that’s what happens to you when you meet the real Jesus. 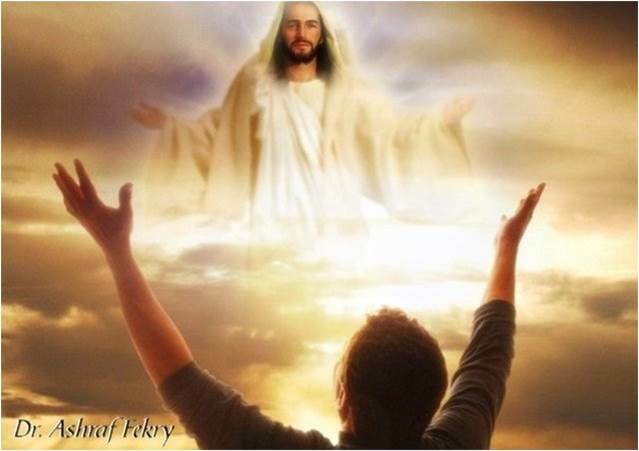 The moment Nathanael meets Jesus it turns him into a true worshiper of both God the Father and God the Son. It also blesses Jesus who says to him, “Because I said to you I saw you under the fig tree, do you believe? 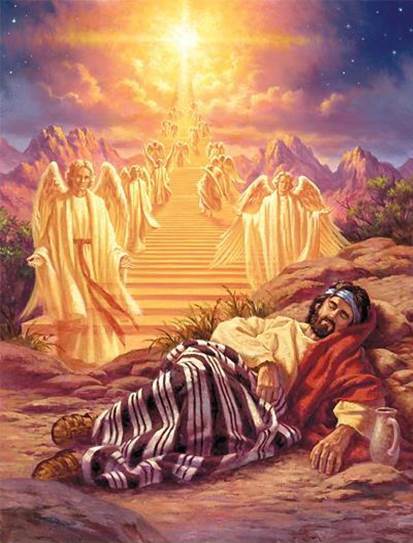 You will see greater things than these.” And then again He takes him back to Jacob saying, “Truly, truly (a guarantee that what He says will come true) you will see the heavens opened and the angels of God ascending and descending on the Son of Man.” What does that have to do with Jacob? This entry was posted in Uncategorized and tagged Apostle Andrew, Apostle John, Apostle Peter, Apostle Philip, believe, Bethsaida, Cana of Galilee, disciples, fig tree, follow, Israel, Jacob, Jesus, Jewish, John the Baptist, King of Kings, ladder to heaven, Nathanael, Son of God. Bookmark the permalink.